The first international women’s sports event, the 1921 Women’s Olympiad begins in Monte Carlo. The 1921 Women’s Olympiad was the first international women’s sports event, a 5-day multi-sport event organised by Alice Milliat and held on 24–31 March 1921 in Monte Carlo at the International Sporting Club of Monaco. The tournament was formally called “1er Meeting International d’Education Physique Féminine de Sports Athlétiques” It was the first of three Women’s Olympiads or “Monte Carlo Games” held annually at the venue, and the forerunner of the quadrennial Women’s World Games, organised in 1922–34 by the International Women’s Sports Federation founded by Milliat later in 1921. The games were organized by Alice Milliat and Camille Blanc, director of the “International Sporting Club de Monaco” as a response to the IOC decision not to include women’s events in the 1924 Olympic Games. The games were attended by 100 participants from nations: France, Italy, Norway, Switzerland and the United Kingdom. The athletes competed in 10 events: running, high jump, long jump, standing long jump, javelin and shot put. The tournament also held exhibition events in basketball, gymnastics, pushball and rhythmic gymnastics. The tournament was held at the “Tir aux Pigeons” in the gardens of the Monte Carlo Casino. The tournament was a great success and an important step for Women’s sports. The 1922 Women’s Olympiad and 1923 Women’s Olympiad were held at the same Monaco venue; the 1922 event is sometimes confused with the 1922 Women’s World Games held in Paris. The IAAF unveiled a commemorative plaque at the site of the games in 2008. 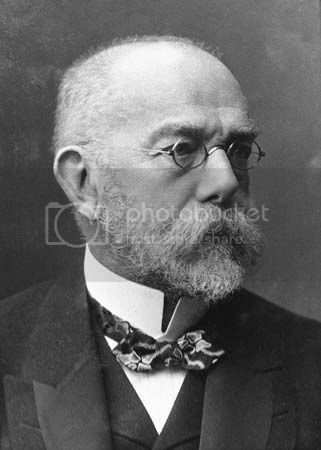 Robert Koch discovers Mycobacterium tuberculosis, the bacterium responsible for tuberculosis. A fire in the Mont Blanc Tunnel in the western Alps of Europe kills 39 people. German troops murder 335 Italian civilians in Rome in what was known as the Ardeatine massacre. Jim Parsons who plays Sheldon in The Big Bang Theory is born. In Prince William Sound in Alaska, the Exxon Valdez spills 240,000 barrels of petrol after running aground.